MP Julian Huppert shared Cambridgeshire Lib Dems’ ideas on how to tackle shoddy street repairs yesterday (Wednesday, December 12) at the launch of national research into the issue. Julian told how Lib Dem County Councillor, Sarah Whitebread presented a motion to Cambridgeshire County Council suggesting that utility companies should be charged daily fees for road closures to prevent lengthy delays. Her idea would apply to gas or water companies laying new mains in the county or companies carrying out similar work and would prevent similar delays to those which closed East Road for weeks earlier this year. Julian shared Cllr Whitebread’s plan when he chaired a meeting organised by the Local Government Association, which represents more than 370 councils across England and Wales, as it launched national research into the problem following a survey of hundreds of business owners. The event was attended by highways managers, business leaders, utility company executives and politicians, and was run in association with the Association of Convenience Stores. Julian said: “Shoddy streetworks cost local highway authorities millions of pounds each year and shops lose trade because customers can’t get to them or they can’t receive their deliveries. “Sarah’s idea would give companies a financial incentive to finish work on time to avoid high costs and to make sure that the repair work is finished to a good standard so that local authorities are not left to pick up the bill, shops can get the business they need and the public are not left with crumbling roads. 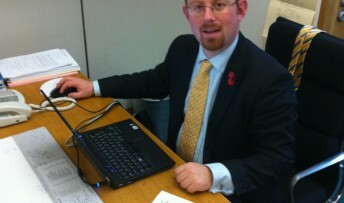 Cllr Whitebread said: “I am delighted that this national research has been carried out. This is clearly a problem that is affecting not just our county but having an impact nationally. Cambridge is the home to one of the mos pretigious universities in the world and is surprising to find mediocre roads full of pot holes and poor transpoprt across the city, which adds to more motorists trying to get across the city which puts more pressure on our roads..
Cambridge needs a new road maintenance strategy, because cleary the one in place now does not work. Hopefully one day Cambridge will join other EU similar size cities such as Bern, Zurich, etc with great public transport infraestructure… We deserve it to be the best!!! But the goverment needs to cut red tape and get on with it.